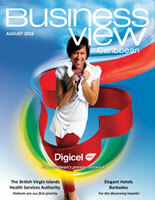 Business View Caribbean Magazine profiles The Saint Lucia Solid Waste Management Authority, in Castries, Saint Lucia. Dunley Auguste is The Saint Lucia Solid Waste Management Authority’s General Manager. 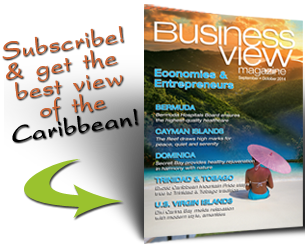 Recently, Business View Magazine spoke to Auguste about The Saint Lucia Solid Waste Management Authority’s role in fulfilling its mandate and the general situation of solid waste management on the island of Saint Lucia. The following is an edited transcript of that conversation, with additional written answers to queries we posed to Auguste, previously. BVM: Can you explain how the Authority came into being? Auguste: The Saint Lucia Solid Waste Management Authority was first established in 1996, by a piece of legislation called The Saint Lucia Solid Waste Management Authority Act, in order to facilitate the implementation of a project for the development of waste management facilities on Saint Lucia. The project was part of the regional Organization of East Caribbean States (OECS) project for improving waste management in the OECS, an initiative which was funded partly by the World Bank (WB) and partly by the Caribbean Development Bank (CDB). The aim of the project was to assist in improving the health status of the population within the OECS and the wider Caribbean. BVM: What is the main job of The Saint Lucia Solid Waste Management Authority? Auguste: The SLSWMA arranges for the collection of municipal waste generated by homes and government-related institutions, and does so through PPPs – Private/Public Partnerships. Rather than owning our own collection equipment, we contract waste haulers with the necessary equipment around the island. We’re divided into 11 waste collection zones. We currently employ six waste collection contractors, who may each have more than one zone (up to a maximum of three, provided that they have the capacity to manage the operations for the zones). They are contracted for a five year period, under the terms and conditions established to maintain an appropriate standard of performance that include punitive repercussions for non-compliance or non-performance. The legislation requires that commercial and industrial entities hire their own waste haulers to get their waste to the landfill. The SLSWMA provides a collection service to the entire population of Saint Lucia, by way of at least a twice-weekly collection service. The landfills operate from seven o’clock in the morning to six o’clock in the evening on a daily basis except for Sundays when they operate from seven o’clock to twelve-thirty; they remain closed on Christmas Day and New Year’s Day. Where suitable road infrastructure permits, curbside collection is undertaken. In cases where there is limited access, communal bins are utilized to consolidate collection. This method is prevalent where there are sporadic and unplanned developments. A sustained education and public awareness campaign, with methodologies and collection schedules, are used to encourage general public compliance. The SLSWMA takes advantage of every opportunity to contribute towards the education of young people particularly through the school system and youth groups. The facilities available to The Saint Lucia Solid Waste Management Authority consist of the Deglos Sanitary Landfill (DSL) in the north of the island, complete with leachate-treatment ponds, and the Vieux-Fort Solid Waste Management Facility (VFSWMF) in the south. They both function with weighbridges, buildings, and heavy equipment (bulldozer, excavator, waste compactor, and a truck to facilitate the maintenance of sanitary standards on-site through daily covering of waste). The SLSWMA headquarters is located at Maurice Mason Avenue in Sans Souci, Castries. In August 2014, the Authority commissioned an industrial grade shredding machine to address an over eight-year accumulation of tires at the Deglos Sanitary Landfill. The machine replaces two smaller, expired machines, and has been working consistently towards reducing the threat presented by the accumulation of the used tires. Despite the capability of the machine, approximately eight thousand tires are processed per month. The throughput is limited as a result of having to wash the soiled tires before shredding. BVM: How is waste collection paid for? Auguste: There’s no ‘tipping’ fee at the landfill as there is in other countries where tipping fees help to fund the operations. In Saint Lucia it was thought that the imposition of the fee might discourage private people and other waste haulers from coming to the landfill, leading to indiscriminate disposal of waste elsewhere in the environment where you don’t need it. I suppose you can say that we’re a little different in approach in that respect. Haulers are encouraged to bring waste to the landfill by providing free access, except for commercial entities that request special disposals. In such cases fees are charged and contribute to the generation of revenue to The Saint Lucia Solid Waste Management Authority. One of the recommendations made by the World Bank for the project was to consider fees to be charged per household for waste collection, and in some of the OECS, these fees are actually implemented. In Saint Lucia, however, the government decided that it did not want to impose another tax, so the cost was absorbed through funding the deficit that the Authority projects for any particular year, by way of a budgetary contribution. There have been inconsistencies in the extent of the contribution as no proper measure was put in place to ensure the implementation of the intention. BVM: Will fees be imposed at some point? Auguste: It depends on the attitude or policy of the government at any particular time. It was suggested that it be XCD 100 per year, per household, with a limit being set to exclude the poor and indigent, so people who could afford it would pay for it and there could be subsidies for those who couldn’t pay. The government didn’t want to go that way. What they did was to implement an environmental levy on visitors. For every visitor coming into the country, we collect $4.08 through the Saint Lucia Air and Sea Ports Authority (SLASPA). This provides a mechanism for revenue generation for the SLSWMA to assist in funding some of our activities. We also have a revenue stream from the provision of landfilling services to cruise ships and also to major supermarkets and suppliers in the country who have waste to dispose of, in addition to other private concerns that require special disposals. We have established rates for these services that are based on the quantity and the kind of material to be handled. So, we also generate some revenue from these. There are, also, occasional funding opportunities from international organizations and friendly governments for purposes of fulfilling requirements of international conventions. BVM: Has anything recently occurred, or is anything planned for the near-term future, that’ll impact the way you do things – expansions, efficiency upgrades, new facilities, etc.? Auguste: We are preparing for the implementation of a UNEP-funded (United Nations Environment Program) project that will look at Saint Lucia’s strategy for waste management. We developed an initial strategy in 2003, but it was never submitted for the approval of the Cabinet of Ministers. At that time, there had just been an election followed by a change of administration. The strategy document, however, is still used for guidance. The UNEP initiative will review the existing strategy for relevance to the current situation, taking stock of the progress made and proposing the direction for the future, probably over the next ten years. We are about to sign the Small Scale Funding Agreement (SSFA) with UNEP to begin the process. There will be a nine-months-to-one-year project duration that will involve stakeholder consultations, leading to a national consensus on the final content of the waste management strategy. The SLSWMA has also been giving consideration to making our contribution to increasing energy efficiency in Saint Lucia, through the use of alternative energy, in keeping with the stated national goal of achieving a thirty-five percent penetration of the energy needs of the country by the year 2020. We’ve investigated the potential for contributing to the goal through the generation of energy from waste. The country’s effort is being assisted by the Carbon War Room (CWR) and the Clinton Climate Initiative (CCI). The latter organization undertook the study to evaluate the potential for incorporating a waste-to-energy initiative within the mix of alternative energy components towards achieving the overall goal. The quantity of waste collected, along with the absence of revenue generating measures within the solid waste portfolio, was not encouraging, in terms of viability, though the approach could have negated the need for the continued costly development of landfills. The SLSWMA continues to investigate its contribution to the energy goal through investment in the establishment of a more energy efficient operation, particularly at its landfills. BVM: What are some of your challenges in regard to solid waste disposal on the island? Auguste: One of our major problems in Saint Lucia is the amount of plastics that get into the environment. I would like to see us facilitate a more organized recycling program where we can actually arrange for the collection of recyclables, rather than allowing them getting into the environment. The current recycling program is very informal. What it consists of is a number of individuals who collect plastics, cardboard, metals, and so on, and they do some primary processing such as baling and shredding, and then ship them out to countries like India and China where formal recycling is done; where these materials are being converted to actual, re-usable material. The local activities are not regulated. This is one of our major issues. There needs to be some more order in that system and my expectation is that the strategy will need to indicate a way of doing that. 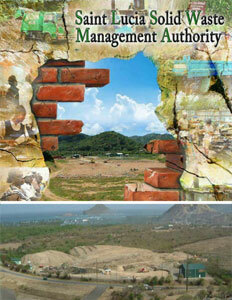 BVM: Is there anything else you’d like our readers to know about The Saint Lucia Solid Waste Management Authority? Auguste: One of the things that I would like to highlight is that Saint Lucia, despite not implementing all the measures that were recommended at the inception of the OECS waste management initiative, is worried about the state of the local environment, and in general the local waste management situation in the country. Our former Minister responsible for the environment was very passionate about that. The effort at influencing the attitude of the population towards garbage was something that he wanted us to improve. Therefore, in the design of the education and public information programs that we develop, there is need to look at new and more innovative ways to influence people and to have them have a more nationalistic attitude towards development in general, and cleanliness within the country in particular. The organization has done much work which is well-recognized throughout the country. There are however, still some who do not adhere to the arrangements made for waste collection. Saint Lucia’s economy relies heavily on tourism, making it necessary to provide a clean and accommodating environment. The transportation sector in Saint Lucia is developing at such a rate that the system is presenting a problem because you often have people throwing stuff out of moving vehicles. The transport system hasn’t always accommodated its passengers with garbage collection receptacles within the vehicles to allow for a more organized disposal. These are areas that we need to address. We’ve been doing education and public information for a long time, but I think we need to do things a little differently in the interest of cleanliness. The enforcement of the legislation is one of the other areas where we have lapsed as a country. We lack the necessary regulations to assist with the enforcement of the law. We need to deploy easier punitive mechanisms such as the issuance of tickets to dissuade violations rather than have to depend on a summary convictions process that requires the intervention of the court as a rule. Our court system is already very overworked, and it requires a lengthy period to get heard, particularly when there are many more serious crimes awaiting attention. Littering may not assume a high priority in the pecking order of the judicial system. Lastly, I believe that there are opportunities for a regional approach to waste management, particularly where it relates to recycling. Economies of scale restrict the extent to which our small economies can accommodate separate country initiatives. It is conceivable that the cost of intra-regional transportation and other border related costs could be the most important impediments to the feasibility of such collaboration as has been the case in regional, agricultural marketing initiatives. This suggests that there should be more consideration given towards the establishment of a regional transportation system to support such efforts. Check out this handpicked article on EcoGas in Aruba.